Dr. Subramanian Swamy, national executive member of Bharatiya Janata Party, speaking about Devalayo Rakshati Rakshitaha- SYMPOSIUM on Protection and restoration of Hindu Temples in Jack E. Singley Academy, Irving 75038 on 28-Aug-2015 at 7 PM. Dr. Swamy talks about 46 civilization of which only Hindu civilization is alive without being destroyed. Rest of them disappeared. He mentioned a number of countries where the earlier civilizations were wiped out in few years. Europe was converted to Christianity in 50 years. 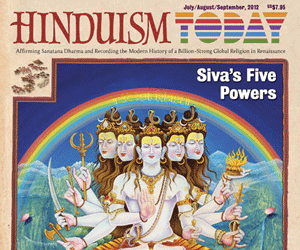 Hindus living in aboard have a major role in preserving the Hindu civilization. What the Hindus are doing in USA is like having an insurance policy for Hinduism. He spent more time talking about the issue of Hindu Temple. We went on discussing about Ayodhya, Mathura and Varanasi and these most sacred places have been destroyed. For centuries, Temples have been the center of focus for all aspects of Hindu way of life. It is a wonder for many foreigner scholars especially for Muslims for their inability to convert India into Islamic State even after about 8 centuries of Islamic rule. They have wiped out Zoroastrians (Parsis) from Iran in 15 years. In 17 years Muslims converted Iraq into a Muslim country, in 21 years Egypt was converted to a Muslim country. He also mentioned about the distortion of the Indian history. There is one chapter on each of the Muslim rulers such as Akbar, Aurangzeb, Jahangir, and Shajahan; but not on Vijayanagar Empire. Dr. Swamy talk about the difference between a Hindu Temple and Masjid. Hindu Temple is consecrated where life is infused a d it is always a Temple where worship will take place. Masjid is not a worship place, it is only a place for congregation. He says Saudi Arabia demolishes mosques all the time for widening the roads and for construction of apartments. He goes to explain the takeover of Hindu Temples and what steps we need to take. He mentioned about the Chidambaram case, and the case in front of Supreme Court challenging the Endowment Act. He mentioned about the efforts of various organizations as well as Acharya Sabha who are advocating the freedom for all Hindu Temples from the government. What needs to be done if the Hindu Temples are released from the government control? Very interesting, informative and explosive speech. 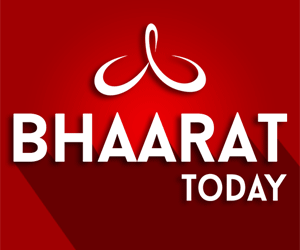 Please watch the video with concentration and see how you can be part of this revival of Hinduism. 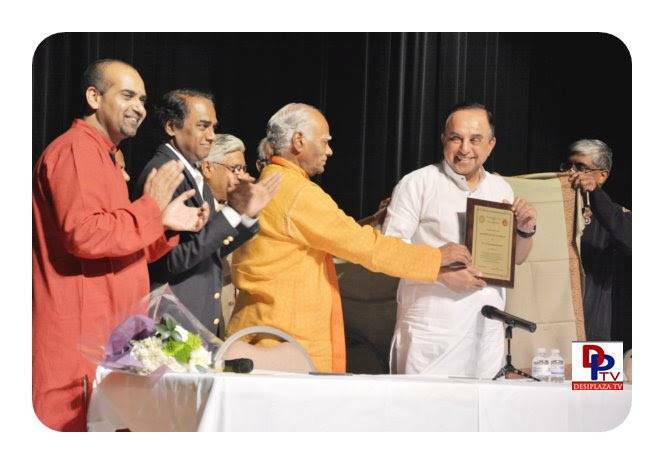 Dr. Swamy was honored with title "RASHTRA HITHA SAMRAT" during the function.